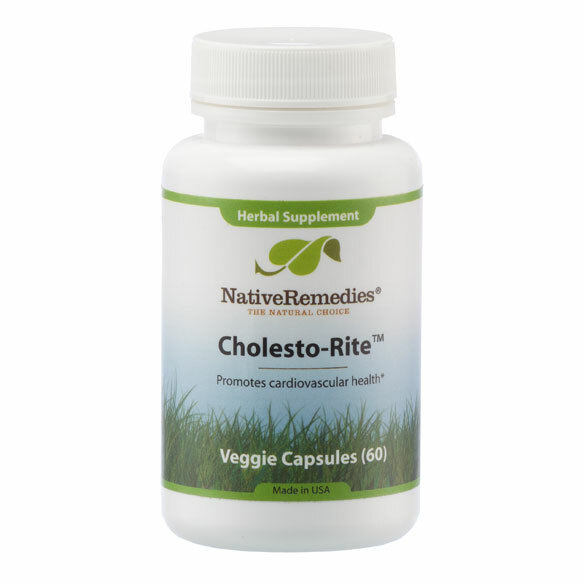 NativeRemedies® Cholesto-Rite™ provides a little extra help that can make a difference in better managing cholesterol levels and cardiovascular health. Natural supplement supports a healthy balance of HDL and LDL cholesterol in veins and arteries without medication side effects. Cholesterol lowering supplements encourages healthy liver function. Supports the body’s ability to manage free radicals. Take 1–2 capsules 2–3 times daily. 60 capsules lasts 10–30 days depending on dosage. Medical supervision required for use with prescription medications, liver problems, heavy alcohol use or other illnesses. Caution: Use only under medical supervision if you are also using prescription medication for high cholesterol, if you are a transplant patient, have liver problems, drink more than three glasses of alcohol a day, or have other serious illnesses. Under some circumstances you can use Cholesto-Rite as a dietary supplement along with your prescription medication, but consult your doctor first. Do not stop using your prescription medication without first consulting your doctor or natural health care practitioner. If pregnant or breastfeeding, ask a health professional before use. If symptoms persist or worsen, consult a health care professional. Keep out of reach of children.